Playing with toys is supposed to make your child happy and entertained. But if you don’t know how to protect your child from harmful toys, the situation could be different since you may put your loved ones in danger. Along with this issue, the U.S Consumer Product Safety Comission (CPSC) always announces the amount of toy recalls every year. In 2015, there were just 25 toy recalls reported. Though it showed decreasing cases; it doesn’t mean parents can be less alert. In this case, knowing every latest toy recall alert that announced online by the CPSC is required. For example, one of top ten kid’s product recalls in 2015 is Juratoys recalls sardines and starfish fishing games that caused by the choking risk. It turned out that the plastic worm at the end of the fishing stick and also the small magnet inside the worm can take apart; these little pieces can create a choking danger to younger children. 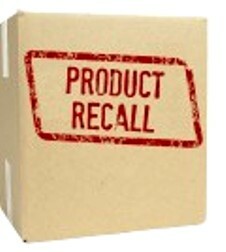 To know each toy recall news; parents can sign up for recall alerts at the website of CPSC (recalls.gov). Do you still keep a toy at home that already recalled? You should get rid of it right away. For the safest toy replacement way, you can resend the toy to the manufacturer by following the given instructions. If your child at age four years old or under, you must be aware of some common safety issues while playing with toys below since they are at particularly high risk. How to keep away your child from those hazards? Besides watching out for every toy recall, you should always comprehend the age label, warnings and safety notes of any toy. Avoid toys which contain harmful things such as small magnets, loose small pieces, unsafe plastics, sharp edges, cheap metal and risky chemical-painted surface. Choosing toys that made from natural matters such as solid woods with harmless finish and organic fabrics like wool and cotton could be the best option for your little one.